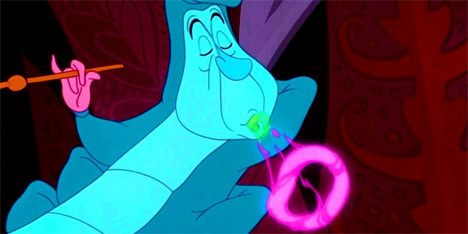 Remember the hookah-smoking, puzzle-talking caterpillar from Alice’s Adventures in Wonderland? 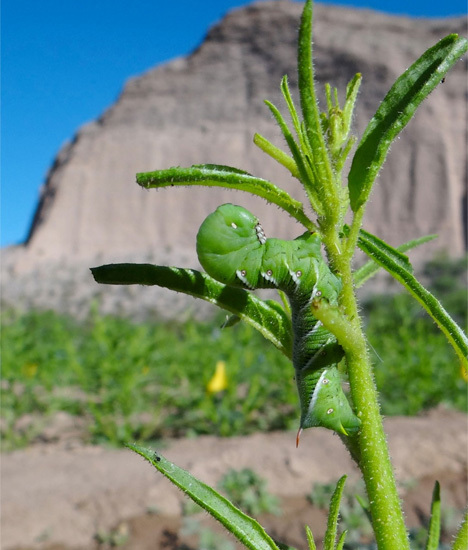 It turns out that that animated butterfly lava wasn’t the only insect that enjoys a few puffs now and then – but the hornworm caterpillar doesn’t do it for kicks. It emits little puffs of tobacco to ward off its natural predator, the wolf spider. 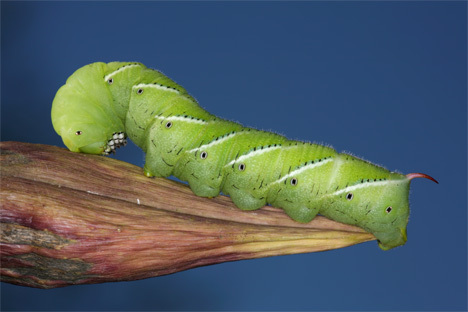 When confronted with a wolf spider, the hornworm caterpillars emit a foul-smelling puff of tobacco through tiny holes in their sides. The terrible smell is a warning to predators – a tactic that researchers are calling “defensive halitosis.” The discovery is significant because after researchers isolated the gene responsible for this interesting trick, they were able to develop a strain of tobacco that cancelled out the gene’s function. After the caterpillars ate the genetically altered tobacco, they were unable to produce the little puffs of bad breath that scared the wolf spiders away. Researchers believe that they can use this knowledge to produce crops that will address specific human nutritional or health needs by canceling out certain genes in our own bodies. See more in Earth & Nature or under Science. January, 2014.